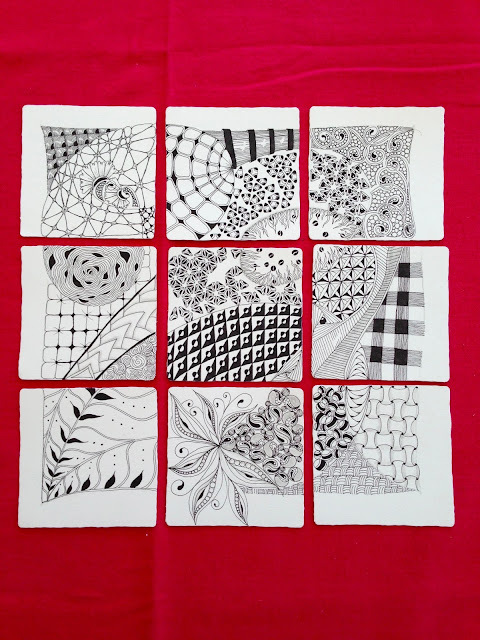 This group of nine tiles was pre-strung as one complete set so that the string ran through all nine tiles to "connect" them. 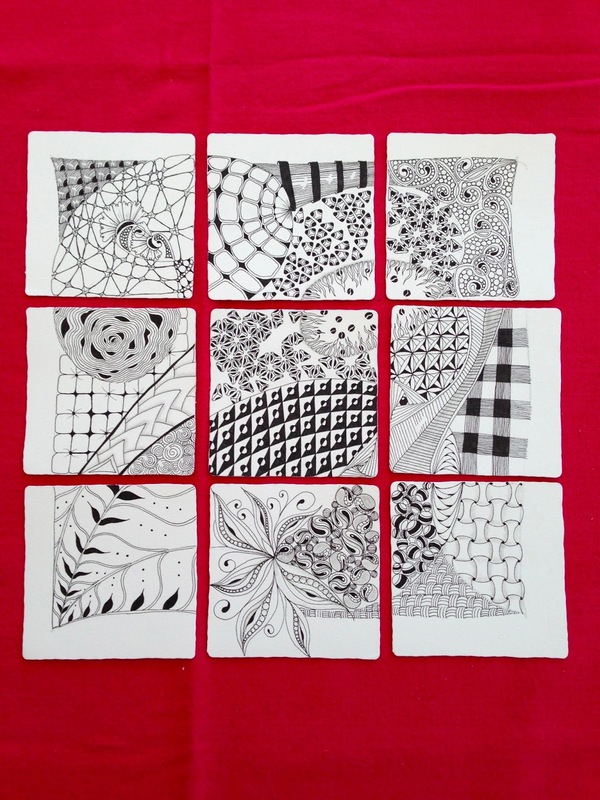 One can either complete the ensemble as one piece of work or individually complete tiles and bring them together. I chose the later to complete my ensemble as this will be a swapping item at the next local CZT meet up. The plan is to have all 55 attendees, or those who want to participate, to complete and entire ensemble and then we will swap out all but the middle tile and end up with our original tile and eight tiles from different CZT's. I think this is an awesome idea and I have found great pleasure in tangling mine. Here is the final ensemble. I will post later my "swapped" version. This is lovely. I haven't even started mine yet. Yikes!